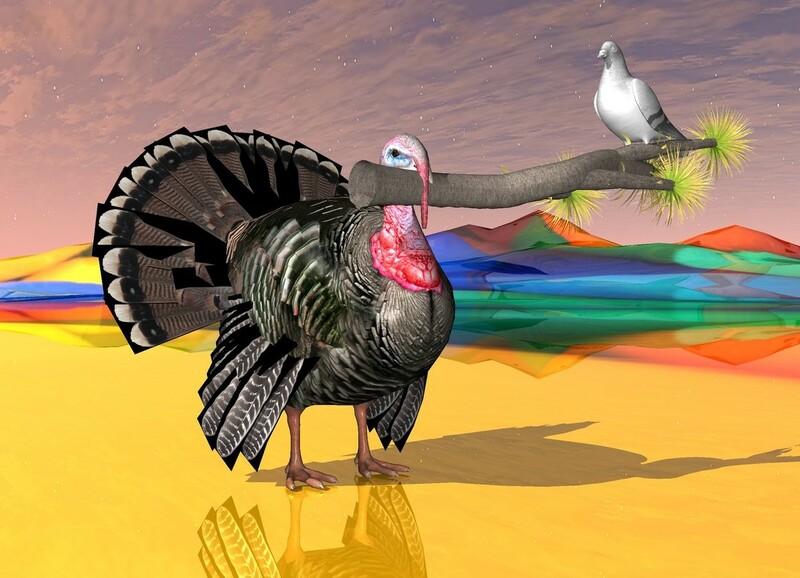 Input text: the turkey is on the shiny [fun] ground. the turkey is next to the white pigeon. the small tree is -6.1 inches in front of the turkey. it is leaning 90 degrees to the left. it is 1.8 feet above the ground. it is -2 feet to the right of the turkey. the pigeon is 6 inches in the tree. it is facing to the left.